Like many people, I often struggled with a messy, unorganized home. But, if you were a guest in our house, our house wasn’t the kind of place that would gross you out and send you running for the hills. Really, to an outsider it didn’t seem that bad. But to me, it was a disaster. Things weren’t in their place – most things didn’t even have a place – the rooms were all cluttered with stuff that we had collected over the years but didn’t need. There were pointless knick knacks everywhere. I wanted to have an organized home and life, but I didn’t know how to get it. I was the furthest thing from organized. I like to have things clean and tidy, so just thinking about all the stuff that we had that we didn’t need, and that we didn’t have room for, made me sick. Even though I knew I should do something about it, I didn’t know where or how to start, so I became the master of procrastination. I had the mindset of: If you put something off long enough, it’ll eventually stop bothering you, right? If you’re in a similar situation, don’t worry – there is hope! 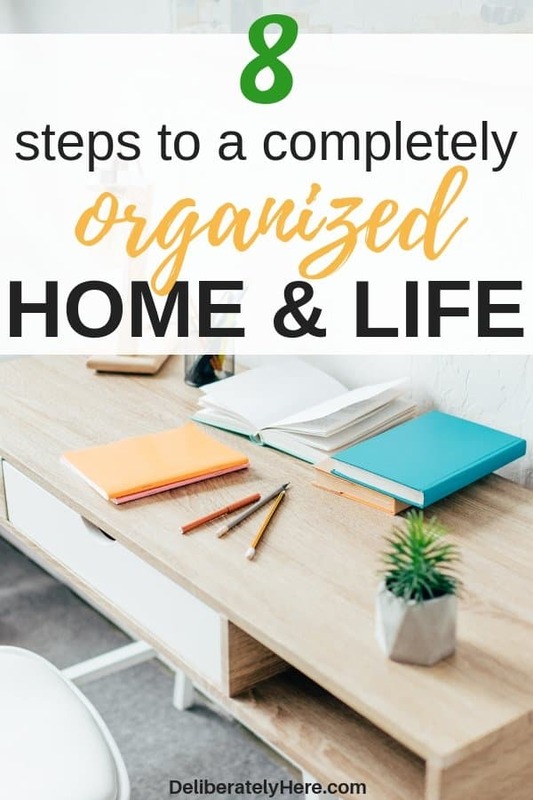 You can create an organized home and life without sending yourself into a ball of stress, and I’ll help you through the whole process, here. Before you get started, I want to go over something real quick. If you aren’t convinced that you need to make a change, you’re just wasting your time. It’s really simple – you could spend all the time in the world researching and learning how to get organized in your home and life, but if you aren’t ready or willing to make a change, it ain’t gonna happen. I could talk – or write – to you for hours and hours on end about why you should be organizing your home and life, and all the great benefits that come with it, but until you truly believe it yourself, you won’t be ready and you won’t be productive. When you make a change in your life like the one you’re about to make, you need to first be one hundred percent on board with what’s going to happen. If you’re not, you will just find ways to put it off or excuses as to why you can’t do it today. Maybe you will start organizing your life even if you’re not fully convinced or on board, but you will likely do a half-hearted job and won’t get the full results. Trust me, it will end up being a big waste of time. Do yourself a favor – if you’re ready to make this change to organize your home and life, keep reading. If you’re not, you may want to take some time to ask yourself why you’re doing this. Come up with a concrete reason why you’re going to make this change, then come back here and we’ll talk… er, I’ll type, while you get ready to create an organized home and an organized life. What makes an organized house? If you’re feeling impatient and are simply looking for some half-hearted home organization tips, you’re not in the right place. Of course – I have included a long list of organization tips further down in this post, but this isn’t some quick “5 steps to an organized home” post. This is an in-depth, comprehensive guide to achieving – and KEEPING – an organized home and life. We’re going to go over the if, how, why, and when’s of organizing your life. So buckle down, it’s going to be a long one. An organized home is exactly what you make it. There is no one-answer-fits-all when it comes to the question of what an organized home really is. An organized home is going to look different for each and every person, and there’s nothing wrong with that. 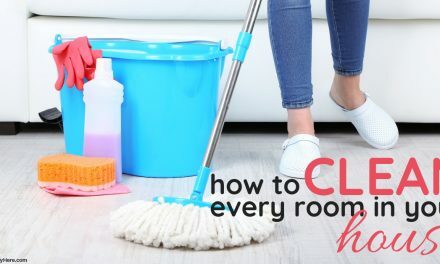 While one person might not feel like they have accomplished an organized home until they have completely purged all of the clutter in their house, collected organization bins for every object in their house, and don’t have a speck of dirt anywhere to be found – or an item out of place, an organized home for someone else may look like the small victory of decluttering the main rooms of their house and finding time to wipe the counters and sweep the kitchen floors each night. Your idea of an organized home may be completely different from the next person’s, and that’s okay. The only thing that matters is that you know in your mind what an organized home is to you and that you are ready and willing to work towards it. Remember: Your house doesn’t have to look like it came out of a magazine to be considered organized. How do I create an organized home when I am overwhelmed by the mess? A common question people have is how to even start organizing, cleaning, or decluttering their house. So many people feel paralyzed by the clutter, and anytime they try to clean, declutter, or organize, they get so overwhelmed by everything that needs to be done that they just don’t start. 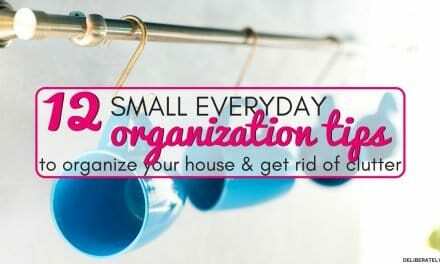 The best solution and the easiest way to get organized when your house is a mess and you are absolutely overwhelmed is to start small. Start with something as simple as putting your dishes in the dishwasher after you’re done with them, instead of leaving them sitting on the counter. It’s important that you just start – don’t keep putting it off. Don’t let yourself get overwhelmed by the mess. Block the mess out, and start with one tiny thing like picking clothes up off of the floor in one room of your house. Then do another tiny thing. Then another. You don’t have to be going for gold when you’re starting out. We’re talking small victories here, people! Set a small, achievable goal for yourself, a goal that can be completed in just a few minutes, then spend the next couple of minutes working towards that goal. Once you complete that one, create another goal and work towards it. Even if you just start with 5 minutes of cleaning up one day, that’s fine – you’ve started, you’re getting somewhere. Okay – now that you know how you’re going to start cleaning up, it’s time to address a problem many people face. 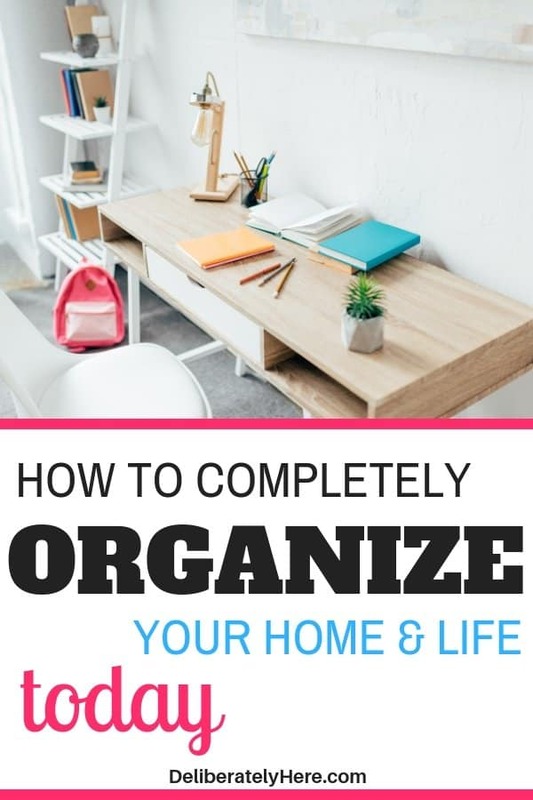 If you’ve been researching how to get an organized home and life at all, I’m sure you’ve had many, many different ways to organize thrown right at you. But what if you’re overwhelmed with all the options? How do you know which option is the best one for you? This organizing style tends to get rid of all the things. In other words, you can kiss your beloved belongings goodbye. Yup, even that keepsake that holds a dear memory for you. It has to go. This type of organizer is an intense, lets-get-down-to-business type of organizer. They tend to want to get rid of everything (okay – maybe not everything, but that’s what it can feel like when you’re just trying to start out). While it is an effective way of organizing, decluttering, and tidying up your house, it tends to scare newbies off with its intense approach. You don’t want to get rid of everything, and that’s fine. There’s other options. This type of organizer tends to put things off, yet they may slowly work their way towards an organized home. But it’s slow. They don’t want to commit too much time to organizing, and they don’t want to get rid of their stuff, either. When they look at their house, they tend to get good at ignoring the mess and aren’t ready to face the truth that it’s time to get down to business. These organizers are sneaky – they don’t like the look of clutter around their house, but they also realize that it will take a lot of time to fully organize their house, so they find a (not so) happy medium. They hide their belongings in different nooks and crannies throughout their house so the mess isn’t visible to an untrained eye – but they know it’s there, and that they should deal with it someday, but they’d rather just put it somewhere out of sight and forget about it for another few weeks. I hate to admit it – but I am guilty of this one. I liked to collect duplicates of items when they came on sale, just in case we would ever need it. For the longest time, I stored a broken coffee maker in our storage room and refused to get rid of it, just in case the coffee maker we were now using broke, we’d have a backup. There was a flaw with my strategy, though. The backup coffee maker was broken. If the one we were currently using broke, why wouldn’t we just fix it, if we had to fix the backup before it could be used, anyway? Thankfully my husband helped me see the light of day and helped me realize how truly unnecessary storing that broken coffee maker was. This type of organizer should be the organizer that we all strive to be. They have what they need, no more and no less. They don’t store clutter in their storage room, and they know how harmful clutter can become to someone. They are diligent about tidying their homes on a regular basis, and refuse to allow unnecessary items come into their house. Now that we’ve named a few of the different types of organizers, which one are you? Which description fits your style best? It’s important to learn what type of organizer you are before you can move on to a solution to your organization problems. The “everything needs to go” organizer may need to take a different approach to organizing than the “I might need this one day” organizer. Each of those organization habits differ from the next, and once you figure out which one you are (perhaps you fall somewhere between a couple), you will be able to get a better idea of how you can go about organizing your house and life. The “everything needs to go” organizer may want someone to help them organize and keep help them realize that they don’t have to get rid of everything, that they can keep some stuff as long as they are able to create space for it. The “I might need this one day” organizer may need someone to help keep them accountable while they’re organizing as they weed through their large pile of clutter. Interested in learning how I took our home from cluttered mess to organized in a short period of time? Click here to learn about the course I took. Here are a couple quick and simple organizing tasks that you can do everyday to help you start getting organized. If you have a big mess to tackle, get ready to tackle it head on. I love love love using lists to stay accountable to my daily tasks. If I have to get stuff done in a day and I don’t use a list, I will often put the tasks off or forget about them all together. Make a list to help you create an organized home. Write down big projects that you want to complete (decluttering and organizing your entire house, sorting through all your clothes, etc. ), then write down smaller tasks that you can complete throughout the day. Tasks like washing, folding, and putting away laundry, cleaning out the dishwasher, vacuuming the living room, etc. A super helpful tip if you’re trying to decide which clothes to get rid of is to place everything in your closet in a different place (or, if you hang your clothes, flip the hangers around). As you wear the clothes over the next few months, place them back in their original spot in the closet (or flip the hanger around). After a couple of months, take any of the clothes that you haven’t worn (you can tell which ones you haven’t worn by which ones are still in the wrong spot, or the hangers that are still backwards), and donate them. If your recycling is sitting somewhere in your house or garage adding up to a massive pile, it’s time to bring it away. By doing this simple task you’ll be creating some extra space in your home, and you’ll make a few dollars while you’re at it. Include your entire family in the cleaning, decluttering, and organizing process. It’s a big job – you shouldn’t have to do it all on your own. Give even the smallest members of your family an age-appropriate task that they can complete. You can turn this into a fun game or competition to really get everyone on board by offering a small treat as a prize to the winner (or just take everyone out for ice cream after all the tasks are done). Get in the habit of putting things away immediately. If you have a bad habit of not cleaning up after yourself as soon as you’re done with something, learning to do this will save you mounds and mounds of time. As soon as you’re done eating – clean the dishes up. If you have your morning coffee in bed or the living room, load the coffee mug into the dishwasher as soon as you are done. Create this habit for everything you use, whether that be books, baking ingredients, or clothes. Anytime you’re walking out of a room, you should have something in your hands to put away. This could be dishes, toys that aren’t where they belong, or clothes that need to be put away. Use a weekly cleaning schedule to help keep all your chores split up over the days of the week so you can keep your house clean with minimal effort or time. 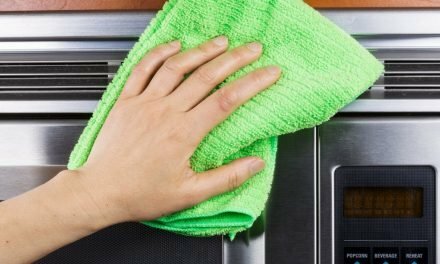 Rather than leaving all the cleaning to be done on one day, split it up over the week – this helps ensure you don’t run out of time. Your home likely has a couple clutter hotspots, even if you don’t realize it. Clutter hotspots are areas throughout your house that are prone to collecting things over the course of the day. They are easy to access spots that are the perfect surface for placing miscellaneous items on. If you don’t realize that there are clutter hotspots in your home, and haven’t created the habit of always leaving a room with something in your hand to put away, these surfaces can get full of all kinds of objects throughout the day and will make your house look messy and unorganized. Use a purse organizer to keep your purse from getting cluttered with stuff. Use this nifty tool to keep your drawers from becoming a disaster. Trying to organize your house when you have a messy family can be incredibly frustrating. Those shoes that you just put on the shoe rack are now just tossed on the floor by the door. All that time you spent putting stuff away in its place might as well just be wasted time, because next thing you know everything is back out where it doesn’t belong. The most important thing to keep in mind when you are trying to keep an organized house, but you have an unorganized, messy family, is that not everything is worth fighting about. It’s going to take some time for your family to come around to the idea of organizing and keeping an organized home – especially if it’s not something they’re used to. Sometimes, that pair of shoes that got left tossed by the door rather than nicely put away on the shoe rack is just easier to pick up and put away yourself than it is to get everyone all up in arms over the situation. Of course, you want to encourage your kids to participate in the organizing process, but it’s important to understand that this change isn’t going to happen overnight. It’s going to take some time for everyone to get used to this new way of living, and that’s perfectly fine. I would consider my husband’s and my house organized, but I certainly don’t have it all together. Some days I still feel like I run around like a chicken with its head chopped off. Most days, is probably more like it. If you feel like you’re the furthest thing from organized simply because your days are chaotic and you can’t seem to get things to go as planned, give yourself a break. Seriously – cut yourself some slack. No one is asking you to be perfect, and if a chaotic life is how yours seems to be, you can learn how to turn it from pure chaos to organized chaos. Some people have multiple kids running around like a tornado through their house, yet still remain calm and organized. How do they do this? Your house and life are organized – now how do you stay organized? Congratulations – you’ve done the hardest part, which is getting organized. But I’m sure you’re wondering now, “how do I stay organized?”. You just learned how to tackle a house that is messy, unorganized, and filled with clutter – and it’s definitely not something you want to have to do on a regular basis. It’s a whole lot of work with not much for reward – except for the satisfaction of a finally organized home (which quite honestly might be satisfaction enough). Here are a couple tips to help you keep an organized home and life so you don’t have to go through the stress of purging it on a regular basis. 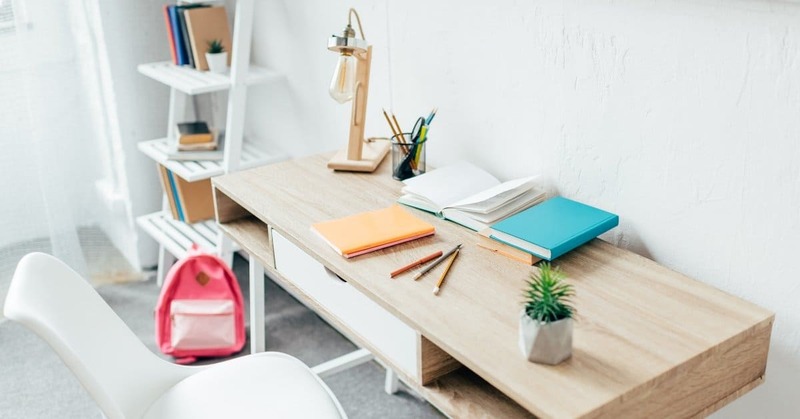 While you want to keep your home organized through the day, there will likely be a few items that get passed over and end up in places where they don’t belong, and you may not have time to address them during the day. For this purpose, keep a miscellaneous basket in your living room (or other commonly used area) and put items in there throughout the day that need to be put back in their place – but you don’t have time to right there and then. Then, at the end of every night, quickly carry the basket around the house and return all the items inside it back to their original spots. That thing that weighs nearly 10 lbs and I carry it around with me everywhere I go? Ya – that’s my purse. I can’t be the only one guilty of an extremely unorganized purse that is stuffed full of unnecessary things – can I? If you struggle with a purse that you just can’t seem to keep organized, this purse organizer will be a lifesaver. This is so much easier said than done, but if you can manage to stop the clutter before it even enters your house, you will have a much easier time keeping your house and life organized. When we start to let even just the little things slip into our house is when we start running into a problem again. It’s easier to keep a house clean than it is to clean a messy (or cluttered) house. By cleaning regularly, keeping items in their place, and only letting necessary items into your house, you will have a much easier time keeping your house organized than if you were to let it go too far and end up having to purge your house again and again. This over the seat car organizer comes in so handy – it offers pockets and compartments that you can place things in to keep them in one spot and from ending up all over your car. Place a nice bin like this one in your entryway for items that you no longer need. If you’re going through your closet and want to get rid of a couple items of clothes, put them in the bin. If you have toys, games, dishes, or anything else that you don’t need over time, place them into the bin. Once it’s full, make a trip to your local thrift store to donate everything. If I didn’t use calendars or lists I would get nothing done in my day. I am terrible for remembering stuff that needs to be done, and if I don’t have a list there reminding me, chances are – it ain’t getting done. This planner calendar is so handy, it offers large writing squares so you won’t run out of room and you can easily organize all your families activities over the month. 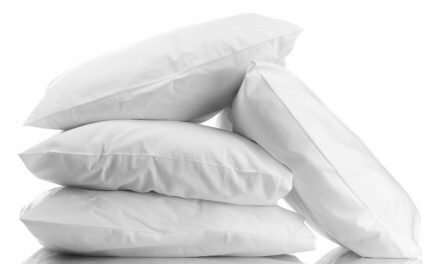 Make a habit of doing 15 minutes of cleaning up every night right before bedtime. Set a timer and give each person in your family a couple tasks to complete. 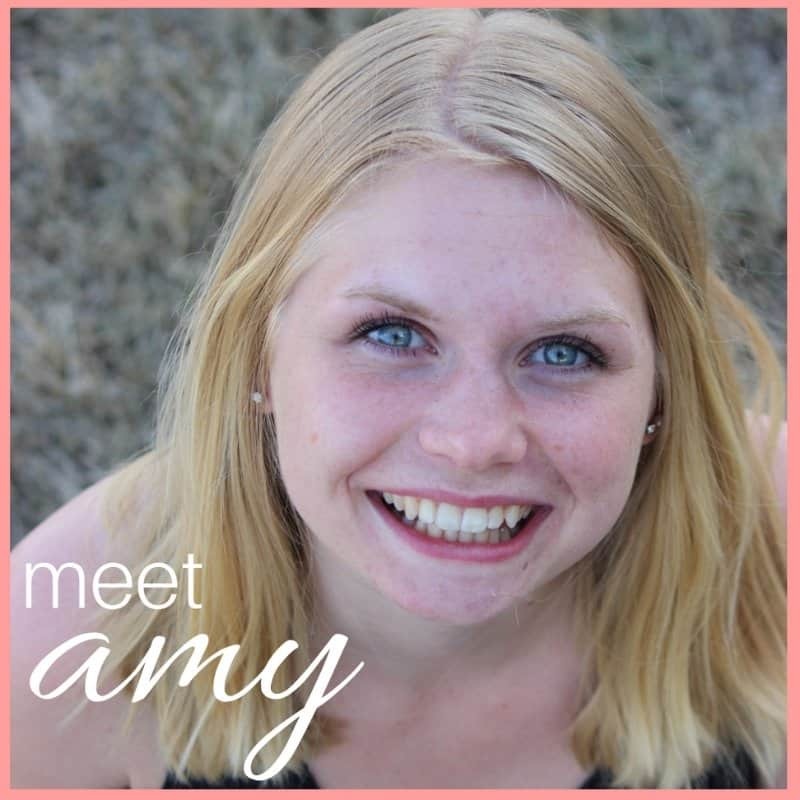 Have you been putting off organizing your home and life for some time now? Use these tips to help you get an organized home and life and keep it that way.